And the ad growth makes sense, because users are increasingly viewing stories. The feature has 500 million daily users—roughly half of Instagram’s one-billion DAU count. 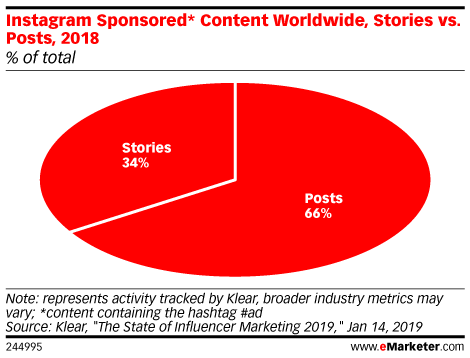 The gravitation towards Instagram Stories is particularly exciting for influencer marketers, who find that its behind-the-scenes ethos helps influencers establish an authentic connection with their followers. Read the rest at eMarketer.